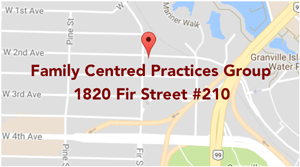 Family Centred Practices Group is looking for Behavioural Consultants to work with our organization supporting families of children with autism spectrum disorders throughout Vancouver and the Fraser Valley. We have positions available for Junior Behavioural Consultants and Behavioural Consultants. See the links below for job descriptions and required qualifications. FCPG offers great training, support and a motivating career path. This work is highly rewarding and there are opportunities for BCBA/BCaBA supervision by Board Certified Behaviour Analysts with the Family Centred Practices Group. Grow your skills in a supportive environment work with Canada’s first and only Behavioural Health Center of Excellence (BHCOE).